I tell my daughter, who is often late for appointments, that life is about minutes. The first time I told her this was when she missed a train into Boston by a few minutes. Not just when catching a train, I went on to explain; but when you have an appointment of any kind. 1. Be punctual. When I think about the conversation with my daughter about how minutes matter in life, I think that not only is it important to be punctual when you need to make a train. Punctuality is also important when you’ve made arrangements to meet fellow networkers or potential decision makers. Especially when you’re scheduled for an interview that will determine whether you get the job or not. Or if you’re meeting someone at a coffee shop for a networking meeting. You don’t want to keep people waiting. 2. First impressions count. You might be rolling your eyes at this well-known fact, but I’m talking about internalizing and embracing this. Yes, you can practice how to shake hands, maintain eye contact, dress for the occasion; but this is something you must do every day. Think beyond the interview if you want to conduct a successful job search. Your first impressions must be outstanding during networking events, while you’re connecting in your community, even at family gatherings. If practicing your first impressions is what you have to do, then practice them every day. 3. The way you communicate matters in all forms. Of course your written and verbal communications—which includes your resume, networking, and the interview—are important. But communicating effectively also includes listening and not over-talking. Over-talking you wonder. Is it even a word? Treating someone with respect means allowing them to do some of the talking, at least. I’ve been to too many networking events where someone feels the need to dominate the conversation. Telling me what they do doesn’t require them to talk without coming up for air. 4. Think of others in your network. One of my favorite posts I wrote is 5 ways to give when you’re networking for a job. This isn’t one of my favorite posts because it garnered many views; it’s a favorite because it talks about the importance of giving back in the job search. True networkers don’t think only of themselves; they think of others as well. Treat others well by reciprocating when someone does a favor for you. But you don’t need to wait for someone to help you first. Turn the table by doing something helpful to other job seekers. Offer advice on their resume or LinkedIn profile or provide a lead, of offer great advice. 5. Meet your stakeholder’s expectations. This raises the question, who are your stakeholders? The most obvious one is a potential employer. Meet their expectations by networking yourself into becoming a referral. Submit a resume that speaks to the their needs and backs up your claims with accomplishment statements. Go to the interview prepared by having done your research. Other stakeholders include your network. Related to the previous way to treat others well in your job search, consider ways to reach out to various stakeholders like the community in which you live. For example, when you have time, shovel your neighbors driveway, or help them move furniture. Help them help you by giving them a clear understanding of what you do and what your goals are. Consider volunteering at a nonprofit that can use your talent. One example would be developing a website for your son’s preschool.Take over the bookkeeping for a start-up. Offering your marketing assistance to a restaurant that is suffering. The success of your job search will depend on how you treat other people, whether they’re other job seekers; your neighbors; and, of course, potential employers. It comes down to more than just being punctual, you must heed your first impressions, communicate properly, treat your network well, and satisfy your stakeholders. When all of this comes into place, your chances of landing a job will be greater. This entry was posted in Career Search and tagged communications, Customer Service, job search, Networking on January 25, 2017 by Things Career Related. One story I tell in my workshops is about how a former customer of mine improved communications between two warring departments. He told me that these groups were literally at war with each other and just couldn’t play well together. He further explained that he would call members of the groups together and make them “talk” to each other. “I also made note of their body language and facial expressions. If I noticed hostility, I’d mention it and tell them I could see their hostility. Did I make them kiss and make up? No. But it almost got to that point. If you haven’t given thought to your communications, you should. You should think about how it affects the aspects of your education, job search, and job. You should also think about the ways you communicate. College is the beginning of the rest of your life, as the cliché goes. Therefore, it’s important that you strengthen your verbal and written communication skills. And you don’t have to major in Communications in order to strengthen your communications skills. Your verbal communications. Take advantage of any opportunities you have to present in front of a group. As scary as it may seem, you will be better prepared for the workforce. Try to ignore your fear and think that this is part of your education. You’re not only communicating with your mouth; you’re also communicating with your body language, facial expressions, and voice intonation. The more animated you are (within reason) the better your message will come across. Some believe that effective verbal communications is 80% presentation. Your written communications. When you write expository papers for your classes, put your best effort forth. Be concise, yet informative. The working world prefers ideas presented in writing that are as short as possible. This includes emails, proposals, marketing literature, whitepapers, etc. I remember a marketing manager saying to me, “Brevity is the key to success.” She was right. You’ll learn that when you leave college and enter your job search that your success will depend on your marketing campaign. This will include your written and verbal communications. Don’t focus on only one form of communications, though. 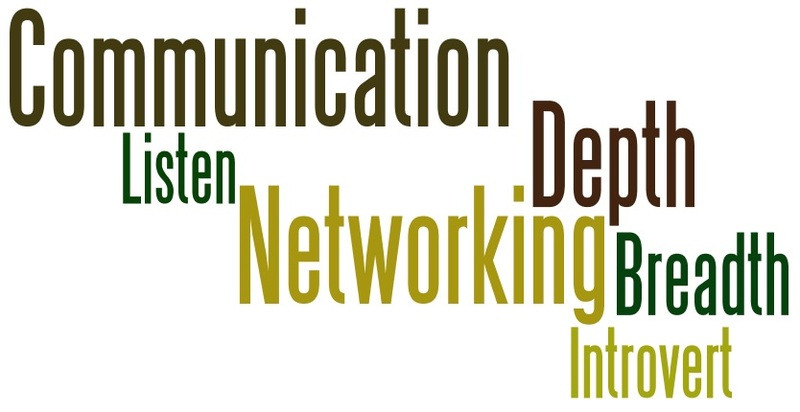 Networking will be a valuable activity in your job search and require excellent communication skills. It’s by networking that you will penetrate the Hidden Job Market, which is a topic in itself. Your goal is to be known by people who matter. Important forms of communications include your ability to articulate your talents and goals. It’s also important to listen to the people with whom you’re networking. Listening is a key component of communications. I’ve been to networking events where I felt like a sounding board. Don’t do that to others. Once your networking has led you to the decision makers of organizations, it’s time to put your written communication skills to use. Write resumes (plural) that speak to the needs of employers. Create a strong online presence with your LinkedIn profile. The interview will arrive after you’ve put your efforts into networking and writing strong marketing documents. It’s at the interview that you’ll have to shine with answers to the tough questions. Where you’ll have to come across as confident and affable. Where ultimately you’ll have to demonstrate your communication skills. Congratulations, you landed a job. Now is the time when your communication skills will help you in performing well and progress among the ranks. Your colleagues and supervisors will expect you to be articulate and clear when presenting ideas. Company meetings are a great example of how important it is to present clear ideas. Let’s say you have to report on the social marketing campaign you’re working on. The group of twenty people, including the director of the organization, want to know the specifics of the project. To your credit you’ve come prepared. You walk to the center of the room (don’t sit) to deliver your PowerPoint presentation. You flick through each slide, talking about how you’ll employ Facebook, Twitter, and LinkedIn to promote the organization. Your body language demonstrates confidence, the tone of your voice is upbeat, you smile and communicate effectively with your hands. You notice that the director is smiling and nodding while you’re talking. Communications constantly ranks high on employers’ lists of essential skills. There’s no secret why. How you’re graded in school relies on how well you present your projects, how well you write your papers. How you’re perceived during your job search has a great deal to do with your ability to express your value. And don’t forget the importance of listening. You must employ written communication skills to land the interview. And finally, it will be your ability to verbalize your value to employers that will land the job. But it doesn’t end at the interview. You will demonstrate your communication skills at work in a variety of ways. Throughout your professional life communication skills will play a role in your success. This entry was posted in Career Management, Career Search and tagged Career Management, College, communications, job search, Verbal Communications, Written Communications on January 27, 2016 by Things Career Related. Career advisors, when advising certain job seekers, have you ever noticed that small talk—breadth of knowledge—is not their forte? Rather they’d prefer to talk about more substantive topics—depth of knowledge—and appreciate the time to formulate their thoughts before speaking. What you get from them is rich, deep discussion that’s very purposeful. Have you also noticed they don’t seem excited when you encourage them to network? It’s not their thing, entering a room full of strangers with whom they have nothing in common. It drains their energy even thinking about it. They may tell you they’d rather walk over burning coals than attend an organized networking event. And when you mention social media as a way to connect with others, your job seekers perk up. To them it’s far easier than networking. They are on LinkedIn and engage with their connections. If they exhibit these behaviors, it’s likely they’re introverts (read this post from the Huffington Post) and may not realize this, unless they’ve taken the Myers-Briggs Type Indicator. I didn’t know my preference for introversion until I took the MBTI when I was 45-years-old. And when I got my results I was shocked because I considered myself to be outgoing. The first way to help an introvert with her job search is to determine if she is an introvert. This will answer many questions she has about herself in terms of communications, networking, and social media use. As you’re meeting with your job seekers, be mindful of how they communicate with you. Introverts are innate listeners not as comfortable with small talk as their counterpart, the extraverts, who are quick to start the conversation and would like you to listen. Your conversation with introverts will be deep and thought provoking, but you’ll most likely have to jump-start it. The best approach to take with an introvert is to start the discussion by stating some observations and then following up with questions. Now stand back and wait for your introverted job seeker to deliver some insightful statements. Try not to interrupt. This question gives them the open door to express their thoughts. “I see your point, and I think I could explain how I was close to 100% accurate in my accounting responsibilities. In fact, I was often acknowledged for this and won ‘Employee of the Month’ many times.” You give your job seeker the opportunity to express her thoughts, and then you do what any good counselor does, sit back and listen. It’s no secret that structured networking makes many people uncomfortable, especially introverts. One quote I share with my workshop attendees is from Liz Lynch, Smart Networking: “At the first networking event I ever attended by myself, I lasted five minutes—including the four minutes it took me to check my coat.” This quote clearly illustrates how networking for the first time can be like trying to speak another language. Now imagine how an introvert feels presented with the prospect of entering a roomful of strangers, expected to make small talk, and (most difficult) promoting himself. He will feel tired just thinking about having to talk to people he doesn’t know, particularly after a day full of looking for work. He may also experience bouts of reluctance prior to a morning networking event. Tell him to have a goal of how many people he’ll talk to at the event. If three is what he decides, that’s fine. Remember that introverts prefer to talk to fewer people and engage in deep conversations. Suggest that he takes a friend or two. There’s more comfort in having someone by his side to talk with if things are not going as planned. Advise him, however, not to spend all his time at the event with his networking buddy. Provide encouragement by reminding him that he should focus on asking open-ended questions and listening carefully to what others say. People like to be listened to, and introverts are great listeners. Enforce upon him that he doesn’t have to be fake; rather he should be natural when speaking with other networkers. He doesn’t have to launch into his 30-second commercial as soon as he meets each person, which will likely serve to push people away. Lastly, he doesn’t have to be the last one to leave; although, he might be the one to close the joint if he’s having a grand time. This is in the realm of possibility. LinkedIn has provided introverts the ideal way to reach out and connect with other people, whether they’re potential network contacts or employers. While this makes connecting seamless, it doesn’t complete the process. I tell my workshop attendees that once they’ve made the initial contact, they have to reach out and touch them in a personal way, e.g., talk with them on the telephone and/or meet them in person. As career advisors, we need to make them aware of completing the process. LinkedIn allows for easy communications through writing—an introvert’s preferred method of communication—however it is not as quick and efficient as speaking with someone. As an introvert, I don’t feel like I’ve closed the loop unless I’ve made verbal contact. Encourage your job seekers to set aside time to talk on the phone for half an hour with two or three of their LinkedIn connections. If they feel so inclined, have them Skype with their connections or, one of my favorites, use Google Hangout. They’re very similar. This helps put a face to a name. Your introverted job seeker will ultimate close the loop by meeting with an online connection in person for coffee or lunch. Encourage this if the connection is local. Keep in mind that one meeting might not be enough, as introverts network best by developing relationships over a period of time. As a career advisor, be cognizant of how introverts communicate. Give them space to express their thoughts and remember that the meetings you have are not about you; they’re about helping your job seeker express their thoughts so you can better help them. Networking can be unpleasant unless the introvert has realistic expectations, so remind him that he’s in control of the situation. Lastly, social media like LinkedIn can be a great way to reach out for contacts, but it’s only the beginning; introverts need to reach out to their connections in a personal way. 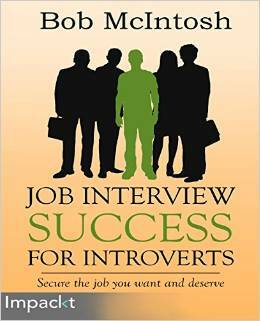 To learn more about how introverts can succeed in the job search, read my book: Job Interview Success for Introverts. This entry was posted in Career Search, Introverts and tagged career advisors, Career Search, communications, introverts, job search, LinkedIn, Networking, Offering Career Advise on December 27, 2015 by Things Career Related. The story of a college grad who was rejected for a position because he didn’t do what college students should do. Regretfully I have to inform you that the hiring committee went with another candidate for the accounting position. Although we felt you were strong in many areas, it was your lack of job-related experience that prevented us from hiring you. A number of attributes, which I’ll describe in detail, made you a strong candidate. I’m not in the habit of doing this for job candidates, but I want to give you some feedback from the search committee. I feel that you have a great deal of promise and hope to see your job search come to fruition. Another attribute you possess is strong communication skills. You demonstrated this as president of your class at the State University of New York. There you proved your verbal communication skills as a member of the debate team. As well, you wrote weekly articles for the university newspaper. Your grade point average of 3.9/4.0 is remarkable by any standards, especially because you majored in Business Administration and minored in International Studies. You should be extremely proud of yourself. This fact did not go unnoticed by the hiring committee; let me assure you of this. You also came across as someone who would work well in a team environment, which is essential in our organization. By leading organizations on campus, most notably the Self-Awareness committee, you proved that you can work well with a diverse group of individuals. I was impressed when you told us that you empowered your teammates by delegating responsibilities you knew you could handle on your own. Having played lacrosse for my college, I was impressed with the fact that you were the captain of the team your junior and senior year. I know how difficult it is to be the goalie in a game like lacrosse. You have be a quarterback and be able to bounce back from injuries due to blistering shots from the opposition. This experience shows that you have leadership skills. Lastly I want to applaud you for taking control of the problem that aroused from your dormitory. You realized a problem existed with certain factions in the dormitory, so you organized a forum where people could discuss their complaints. You moderated these weekly meetings and eventually came to a resolution. This showed your problem-solving skills, which is important in any job. Despite all this, John, we couldn’t ignore the fact that you don’t have the job-related experience required to hit the ground running. As you know, we need someone who can: prepare, examine, or analyze accounting records, financial statements, or other financial reports to assess accuracy, completeness, and conformance to reporting and procedural standards. The hiring committee didn’t get the sense you were strong in all these areas. They also wondered if you could adapt to a very fast-paced environment with very strict deadlines. I admire your experience of supervising the lifeguards, but the responsibilities you would have assumed here are dissimilar. I want to end with a little bit of advice, John. You don’t have any internship experience throughout your university years, and this hurt you. However, it’s not too late. You can seek out internships, or volunteer experience, near your home town. If you’re fortunate, you may secure a paid internship. I wish we had a spot for you on our team, but we need someone who—as I’ve stressed—has the job-related experience. This post originally appeared on http://www.youtern.com. This entry was posted in Career Search and tagged communications, Internship, job-related skills, leadership, Problem Solving, teamwork on December 23, 2015 by Things Career Related. And how being an ambivert can help in your job search. I conduct a poll at the beginning of my Myers-Briggs Type Indicator workshop. I ask my attendees to write on the back of a piece of paper if they had the choice to be an introvert or extravert, what they would choose. What do you think they choose? Easily nine out of 10 would prefer to be an extravert. Their reasons for preferring to be an extravert (remember, we don’t have the option) vary from: extraverts are well liked; they make better small talk; they’re not shy; they get ahead at work; and, by large consensus, their lives are easier. Based on your responses, you’re an ambivert. That means you fall smack in the middle of the introvert-extrovert spectrum. In many ways, ambiverts have the best of both worlds, able to tap into the strengths of both introverts and extroverts as needed. See below for information on introverts and extroverts; you’ll likely see part of yourself in both. Although the Myers-Briggs Type Indicator doesn’t recognize it as a dichotomy, author Daniel Pink writes about the ambivert in To Sell is Human. According to Pink, one out of nine people are proclaimed salespeople, but in actuality nine of nine people are salespeople because they are moving others. This is especially important to job seekers who have to move others while exercising their marketing plan, e.g., their written and verbal communication skills. When we talk about introversion and extraversion, it generally comes down to energy level or re-charging one’s battery. Extraverts are said to have abundant energy, especially around crowds. Their batteries are re-charged by being with many people. Introverts are more reserved and prefer smaller groups, which don’t drain their batteries. They need their alone time and, because of this may be seen as reclusive. Stealing away at times recharges the introvert’s battery. Ambiverts adopt the traits of each side of the continuum; their batteries are charged by being with many people or being alone. As a general rule, extraverts prefer to communicate orally with others and tend to be more comfortable with small talk. They enjoy the back-and-forth banter. Introverts would rather communicate through writing and that’s how they learn best. Small talk can be more of a challenge for them. 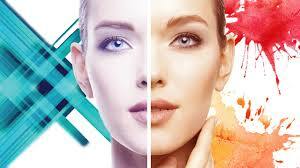 Ambiverts have the energy extraverts have to attend networking events. They don’t give into the temptation to blow off an event after a hard day of looking for work. Ambiverts are also more open to meeting with someone for an informational meeting, whereas introverts may be a bit reluctant. Written communications is generally considered a strength of introverts. They love the time to collect their thoughts and then write them down. Generally extraverts are impatient with written words; they prefer speaking to learn. Ambiverts also excel at writing their resumes, LinkedIn profile, and other written communications. Ambiversion is widely considered to be a farce by many members of the LinkedIn group I’m a member of, Myers-Briggs Type Indicator Assessment, who claim you prefer one or the other. Yes, we have the ability to utilize all traits on the spectrum, but the consensus among the group is an ambivert doesn’t exist. My take on all of this is that an introvert can utilize the traits of an extravert and vise versa, and should feel secure with this knowledge. However, if he/she doesn’t like to be labeled an introvert, there’s always the ambivert title to fall back on. Now, a true student of the Myers-Briggs Type Indicator would tell Mr. Pink he’s practicing poetic license. This entry was posted in Career Networking, Career Search and tagged Ambivert, communications, Daniel Pink, Extraversion-Introversion, Myers-Briggs Type Indicator, Networking on November 15, 2015 by Things Career Related. Career advisors, when advising certain jobseekers, have you ever noticed that small talk–breadth of knowledge–is not their forte? Rather they’d prefer to talk about more substantive topics–depth of knowledge–and appreciate the time to formulate their thoughts before talking. What you get from them is rich, deep discussion that’s very purposeful. As you’re meeting with your jobseekers, be mindful of how they communicate with you. Introverts are innate listeners who are not as comfortable with small talk as their counterpart, the extraverts, who are quick to start the conversation and would like you to listen. Your conversation with introverts will be deep and thought provoking, but you’ll most likely have to jump-start it. The best approach to take with an introvert is to start the discussion by stating some observations and then following up with questions. Now stand back and wait for your introverted jobseeker to deliver some insightful statements. Try not to interrupt. This question gives them the open door to express their thoughts. “I see your point, and I think I could explain how I was close to 100% accurate in my accounting responsibilities. In fact, I was often acknowledged for this and won ‘Employee of the Month’ many times.” You give your jobseeker the opportunity to express her thoughts, and then you do what any good counselor does, sit back and listen. Tell him to have a goal of how many people he’ll talk to at the event. If three is what he decides, that’s fine. Introverts prefer to talk to fewer people and engage in deep, thoughtful conversations. Enforce upon him that he doesn’t have to be fake; rather he should be natural when speaking with other networkers. He doesn’t have to launch into his 30-second commercial as soon as he meets each person, which will serve to push people away. As a career advisor, be cognizant of how introverts communicate. Give them space to express their thoughts and remember that the meetings you have are not about you; they’re about helping your jobseeker express their thoughts so you can better help them. Networking can be unpleasant unless the introvert has realistic expectations, so remind him that he’s in control of the situation. This entry was posted in Career Search, Introverts and tagged career counseling, communications, Extraversion-Introversion, Myers-Briggs Type Indicator, networking on October 25, 2014 by Things Career Related.